The area around Le Hamel Roger is beautiful. Lush green grass and a mild climate mean the region is noted for its agriculture, particularly apples for the production of cider and Normandy's famous calvados (apple brandy), named after the region. 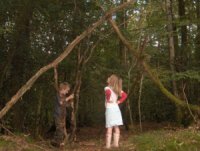 There is a wide variety of activities, attractions and sites of interest within 30 minutes from the cottage. 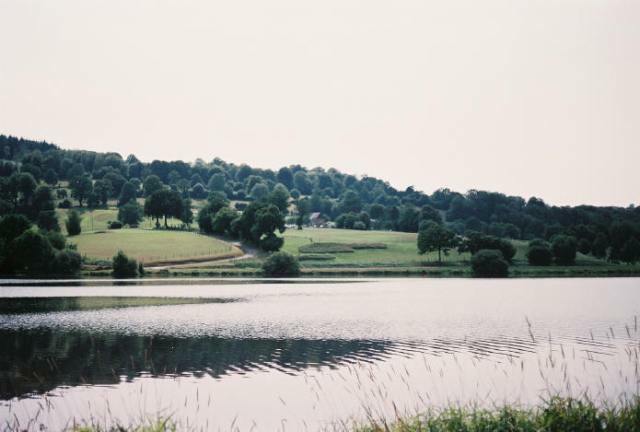 You'll find walking, fishing, golf, swimming, country parks, woodland, lakes, rivers, miniature railway, 4x4 off-roading, bungy jumping, a theme park and a great zoo. We have collected some information below to give you a flavour but we can't write it all! There is a collection of leaflets in the gite, a visitors book with other guests recommendations and we can be around to pass on any information we know. Bocage is a french word that you will find in many of the local place names. It refers to a terrain of mixed woodland and pasture,many of the lanes and paths have high banks and were well known to the allied troops following the D-Day Landings as they found it virtually impossible to see the enemy. Fortunately the countryside is now very peaceful and abounds with all manner of flora and fauna. This is walking country. There are many miles of tracks, for experienced and novice walkers - and every level in-between! We never cease to appreciate the wonderful views across miles of open, undulating countryside. There are many route-marked walks in the locality, one of which actually passes our property. We have maps and details which you can borrow. There is a place nearby where you can hire a donkey to carry your belongings, delight your children or just to accompany you on these walks! Our nearest bar/restaurant is in the village of Monchauvet, 4 kms from the cottage. It's a very friendly place with a little shop. It takes us just less than an hour to cycle, skate and walk there with our young children! We stop for a drink and snack before heading back along the country lanes. It's a lovely way reconnect with the world and your family, although there's nothing to stop you driving of course! 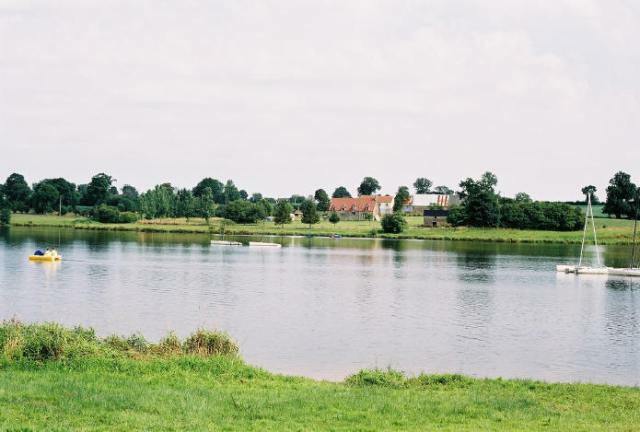 Le Beny Bocage is our nearest 'big' village where you'll find a range of local shops, services and restaurants, it's picturesque and welcoming and just a 10 minute drive from the cottage. 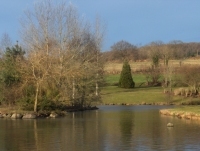 Tucked away on one of the routes out of the village you'll find a lovely big duck pond which is great for a stroll. 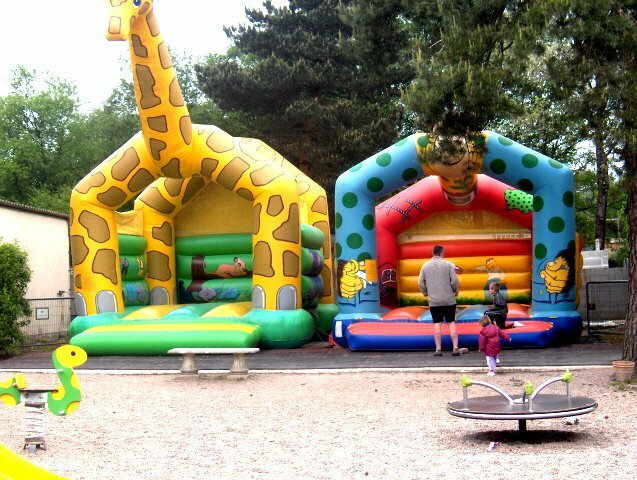 There is a climbing area for children at one end. Another route out of the village will reveal a horse riding school which offers sessions for visitors. The nearest big towns are Vire to the south and Villers Bocage to the north. St Sever is about 30 minutes from the cottage and has a huge forest. There are well marked walks through it and a big lake. The village itself has coffee shops, restaurants and shops so you can find sustenance after exploring the forest! To get there you would head into Vire and pick up the St. Sever road, well signposted, on your left. 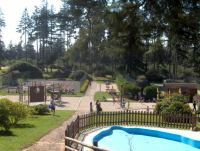 The village of St Charles de Percy is around 10 minutes from the cottage towards Vire on the D577. 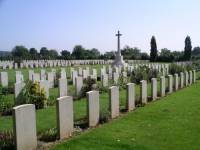 There is a small but beautiful British cemetery here. Its well sign posted from the main road and is well worth a visit. You can park on the top of the hill on the road between Manchauvet and Montchamp and walk along wide level tracks. The views across the valleys are fantastic from here and it's a suitable place for bikes, buggies or those less stable on their legs. 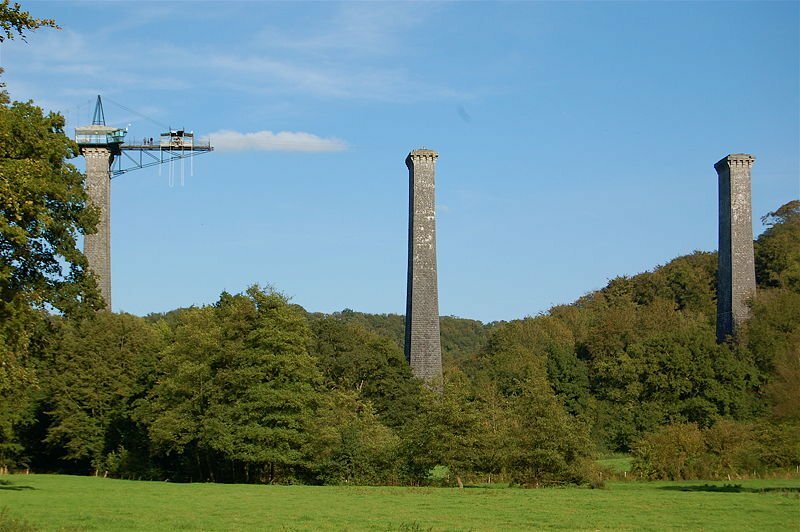 Whilst the primary attraction is bungy jumping, there are many varied attractions here, based around the old viaduct. 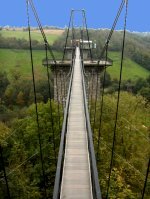 There are steps down, or a gently sloping path, leading to the pretty Souleuvre river and play area at the base of the bungee jump. AJ Hackett, a company renowned worldwide for extreme sports, has created a centre at the viaduct. In addition to bungy jumping there is a huge cable run (This involves being harnessed on to a cable strung from the viaduct to a point lower in the valley. You then run off the edge of the launch platform and slide down the cable, very fast! A winch brings you back up.) New for 2009 is a giant swing. You start at the same height as the bungee but instead of a vertical drop, you swing. It might sound gentle but this is no option for wimps! It's great to watch and those who have dared are all exhilarated by it. Personally I prefer a café and crepe in the bar at the top. Angela, mother of four, first jump! 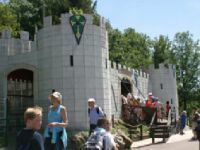 Festyland is a friendly 'medieval' theme park, suitable for beginners! 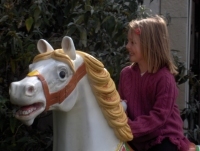 There are plenty of smaller rides and play places for little ones. There is a huge wet ride, a pirate ship and rollercoaster big and fast enough to make me scream for the older children. A well signposted drive back towards Caen. Reasonable price and fun for all! 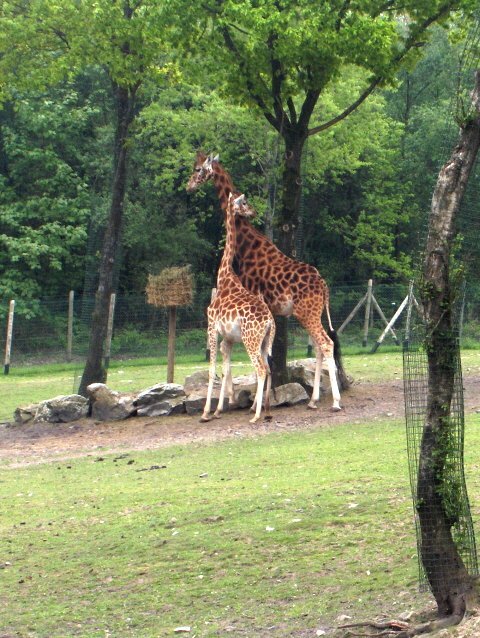 This is just minutes from the house and is a really impressive zoo with well cared for animals in big enclosures. There is plenty to see and do. 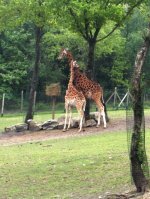 Zoo de Jurques is great for children and adults. 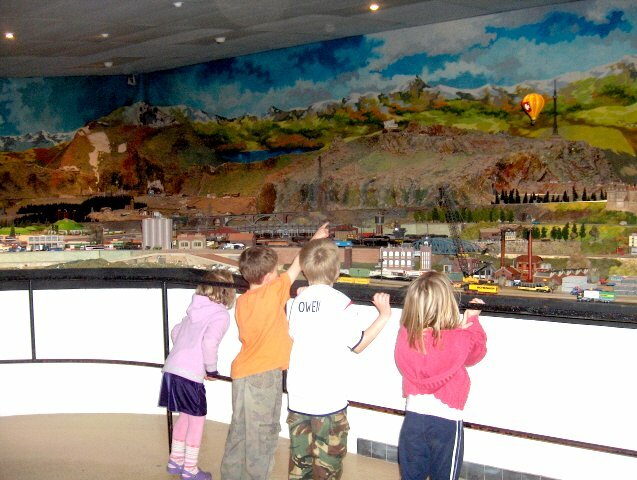 This model railway is the result of a father and son passion for trains and model-making. 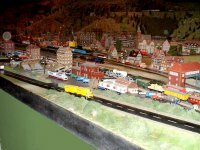 It occupies an area of 310m² and has 430m of track. 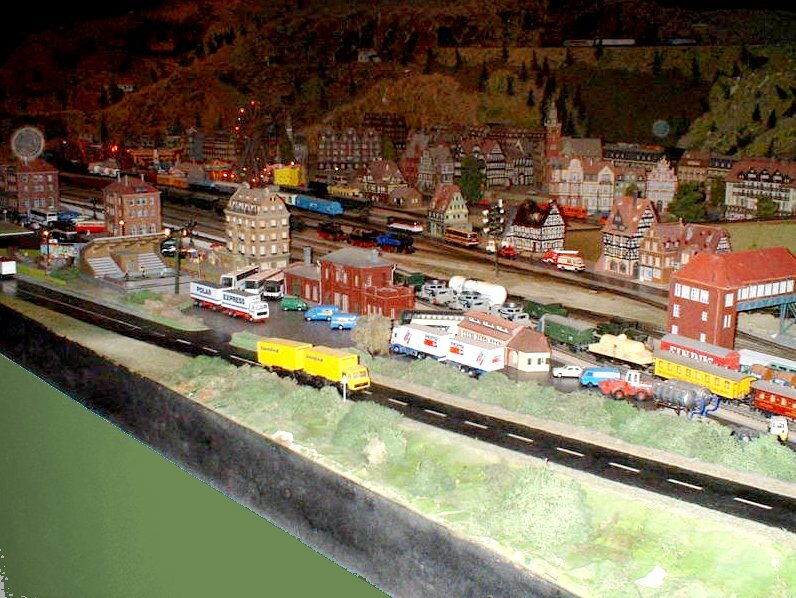 The whole scene stretches around nearly 4 sides of the room housing the model and is a detailed miniature landscape with lots of moving parts, including a fun fair, rack railway and ringing phone-box. The tour (with written English commentary) encompasses a 'son et lumière' display. 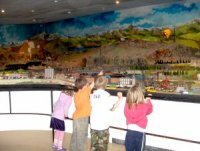 The museum is set in pleasant gardens with a miniature train to take a ride on. Cerissy-Belle-Etoile is about an half hour drive through pretty villages. You'll find a country park there with lots of marked paths through the woods and great views. There is a little bar/café, an adventure climbing area for children, a paddling pool, tennis courts and the ruins of a chateau. 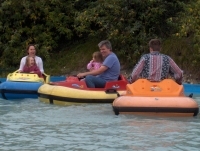 Beside the Lac de la Dathee - the FWDFWD driving centre provides 50 acres of off-road bliss! Golf de Vire, a nine hole golf course and practice area near Lac de la Dathee. The course is complete with a club house, bar and cafe, with an outdoor terrace overlooking the course and the lake. The course is being extended to an 18 hole course, which is planned to open in Spring 2008 - although the works do not interfere with play. 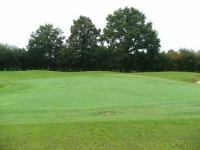 Being a public course it is popular with both English and French players and with both men and women. This picturesque lake area has something for everyone. 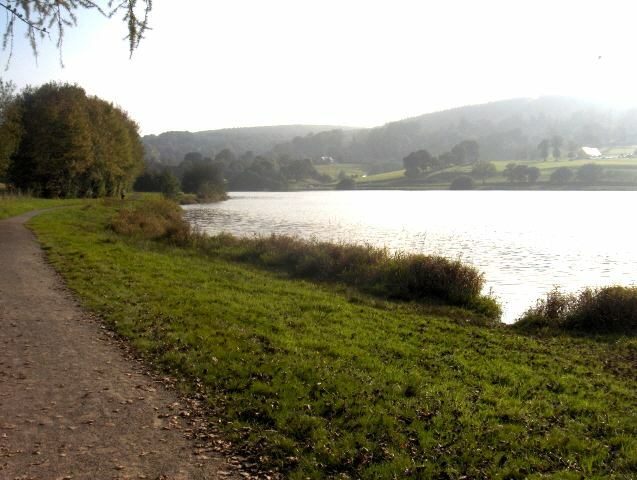 The lake itself is surrounded by a track, perfect for a gentle walk, a bike ride, a dog walk or even a jog! There are a number of picnic benches in shady spots all around the lake. 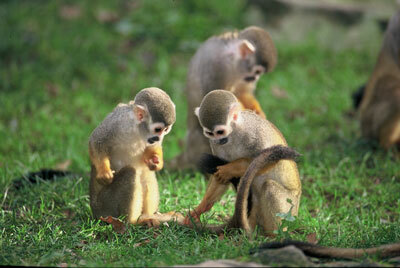 A large area of the lake and surrounding grounds is a bird reserve. The Centre Nautique offers watersports throughout March to November with kayaks, rowing boats, pedalos and windsurfing equipment all available to hire. Overlooking the lake is the Golf de Vire, a 9 hole golf course and practice area (see above). On the land surrounding the lake is a four wheeled drive activity centre (see above) and at Le Butte Aux Cerfs, overlooking the lake, is a restaurant serving traditional meals with wonderful views and they advertise a Friday night spectacular!. * Daily fishing permits cost in the region of 16 euros and for the more frequent visitors an annual permit will cost in the region of 70 euros. These can be purchased from Leclerc or Bricomarche in Vire, the Tourist Information office in Vire and also from local tabacs. Depending on the type of permit, you may be able to fish at other sites in the region. Please check before purchase. Vire is our nearest big town. The outskirts have large retail outlets and supermarkets. As you go into the town centre you find beautiful floral displays and fountains, there are buildings of historic and architectural interest and many boutiques and shops. On Friday mornings the centre becomes a wealth of scents, sights and sounds with one of the largest street markets in the area. There are many cafes and restaurants offering good fare at reasonable prices. They are welcoming to children. During the summer months there are regular firework displays and street activities. There is a cinema, theatre, racecourse, swimming pool with slides and a skatepark. Thirty minutes to the east lies Swiss Normandy, described as one of the most beautiful regions in France. 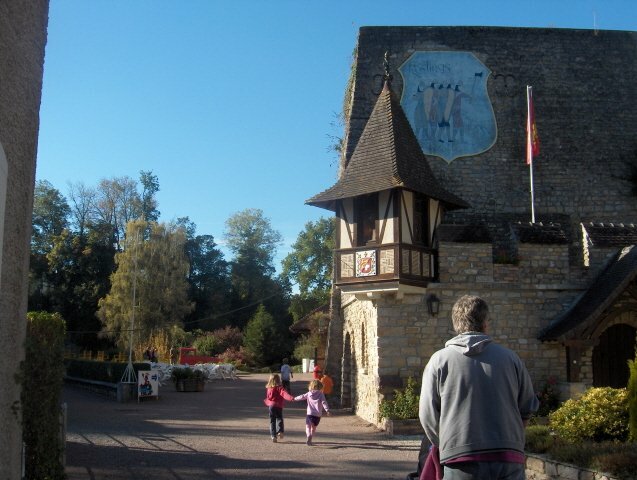 In the heart of this area lies Falaise, the home of William the Conqueror, with its striking castle. This was badly damaged during the war, but has now been sympathetically restored.